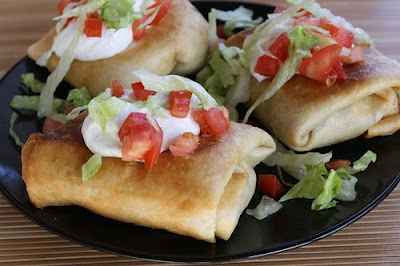 If you are not familiar with the Chimichanga it is basically a burrito that is deep fried. This is a fairly lengthy recipe that requires a bit of work, but in the end you should find that it’s well worth it. If you like Mexican food, these should be a must try for you. If you don’t like the idea of deep frying this makes great burrito meat as well.. For the meat, if you can find already cut up beef stew meat that would work well, and save a lot of time. Enjoy!! step 1: In a large stock pot over medium-heat heat. Add 2 tablespoons of canola oil. Add beef cubes and brown on all sides. Add onions and jalapeño pepper and sauté for 4 to 5 minutes. Add garlic and sauté for 1 additional minute. Mix in chili powder, cayenne, garlic powder, and flour. Cook stirring frequently for 2 to 3 minutes. Add beef broth and red wine vinegar. Mix well and bring to a boil. 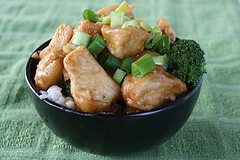 Reduce heat to medium-low and simmer for 2 hours. Step 2: When the meat is fork tender, shred the beef with 2 forks. Add pinto and black beans, lime juice and cilantro. Cook until heated through. Remove from heat. 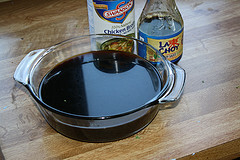 Step 3: In a large deep skillet add about 1” of oil. Heat the oil to 325 degrees or until the oil is hot enough to frying. While the oil is heating prepare the chimichangas. Lay out a flour tortilla and fill the bottom half with ¾ cup of the beef/bean mixture (if the beef mixture has a lot of liquid, scoop it out with a slotted spoon). Top with about 2 tablespoons of pepper jack cheese. Lift the edge of the tortilla and roll it over the filling to secure it. Fold in both sides and continue rolling until you reach the opposite end. Place a skewer threw the seam side of the burrito to secure it (can also use toothpicks). Repeat with the remaining tortillas. Step 4: Lower chimichangas into the hot oil and fry for 2 minutes on each side or until golden brown. Drain on paper towels. Fry in batches of 4. 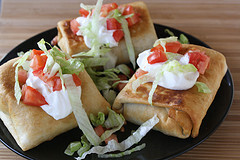 Serve with lettuce, tomato, and sour cream. 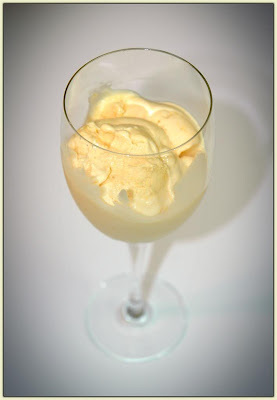 Discription:This is tasty icecream recipe.Try it and Enjoy!!!!!!!!!!!! 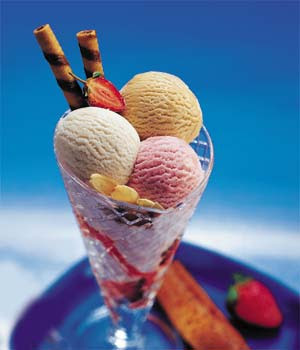 Assemble the sundae in a tall sundae glass. Place a few strawberries at the bottom of the glass and then top with all whipped cream and the strawberry sauce. Top with the ice-cream scoops and sprinkle the nuts on the ice-cream. Serve immediately garnished with chocolate wafer rolls. Discription:Macapuno is also known as “mutant coconut” because the meat inside of this naturally occurring oddity is more abundant and softer than the meat found in normal coconuts. Despite its unfortunately icky-sounding English name, Macapuno is an incredibly delicious fruit. Place the coconut milk, cream, half and half, and salt in a medium saucepan over medium heat. Stirring occasionally, bring to a bare simmer (just about when it starts to steam and barely bubble) and remove from heat. Add the rum to the milk mixture. In a medium mixing bowl, whisk the egg yolks until they lighten in color. Slowly add the sugar while continuing to whisk the eggs. Whisk until all the sugar is incorporated. Temper the eggs by slowly adding, one ladle at a time, the warm milk mixture to the eggs, whisking continuously. When about a third of the milk mixture has been added to the eggs, pour the remaining milk mixture into the eggs, then return the entire mixture back to the saucepan over medium low heat. Continue to cook and whisk until the mixture reaches 170 degrees Fahrenheit on an instant-read thermometer. If you don’t have an instant-read thermometer, cook the mixture until it thickens slightly and coats the back of a spoon. (You can test for doneness by running your finger across the coated spoon. If your finger leaves a definite trail on the spoon, then the custard is done. Pour the custard through a fine mesh sieve into a large bowl. Add the Macapuno to the custard and mix well. Allow the mixture to sit at room temperature for 15 minutes. Cover and place the mixture in the refrigerator for at least 4 hours, though overnight is better. Discription:Refrigerated pie dough makes this recipe simple to prepare. 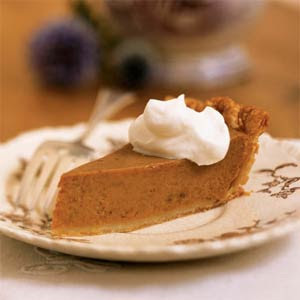 Bake the pie on a baking sheet in the lower third of the oven to encourage a crisp crust. To prepare filling, combine first 6 ingredients in a large bowl, stirring with a whisk. Add pumpkin, and stir with a whisk until smooth. Pour pumpkin mixture into the crust. Place pie plate on a baking sheet. Place baking sheet on lowest oven rack. Bake at 425° for 10 minutes. Reduce oven temperature to 350° (do not remove pie from oven); bake an additional 50 minutes or until almost set. Cool completely on wire rack. 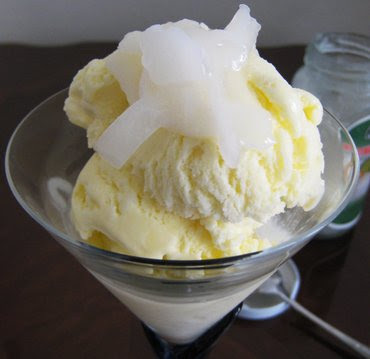 To prepare topping, beat cream with a mixer at high speed until stiff peaks form. Add the amaretto and powdered sugar, and beat until blended. Serve with pie. Disciption:Olive oil ice cream, enriched by pasture-raised egg yolk, fresh cream and whole milk, is dense in vitamins, minerals and antioxidants. The combination of unrefined extra virgin olive oil and blood oranges, with their fruity and floral perfumes, adds a beautiful flavor to a special and unique dessert. Zest the blood oranges and reserve the zest. Tenderly segment the oranges, removing the white pith and tough membranes and reserving the tender, colorful orange flesh. Set aside. Whisk unrefined extra virgin olive oil, heavy cream, whole milk and beaten egg yolks together until thoroughly combined and gently emulsified. Vigorously whisk honey into the milk and egg mixture. If your milk and eggs are very cold, the honey may harden and you may find it challenging to combine it thoroughly with the milk and eggs. If that is the case, you may gently warm the mixture of milk and egg yolks over very low heat which enables the honey to blend more efficiently into the cream, milk and egg yolks. Stir in reserved orange zest, food-grade organic essential oil and sea salt into the honey-sweetened mixture of milk, cream, olive oil and egg yolks. If you’ve warmed the mixture, cool it in the refrigerator until it becomes quite cold – about twenty minutes. 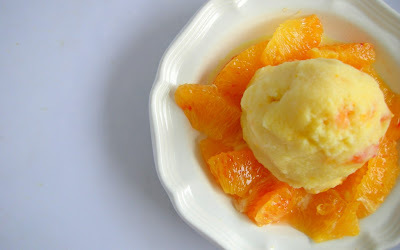 Fold reserved blood orange segments into the olive oil ice cream mixture, then freeze it according to your ice cream maker manufacturer’s instructions. YIELD: About 1 ½ quarts olive oil ice cream or about 12 servings. Discription:If you are a big fan of Barbecue chicken pizza, you are sure to enjoy this recipe. 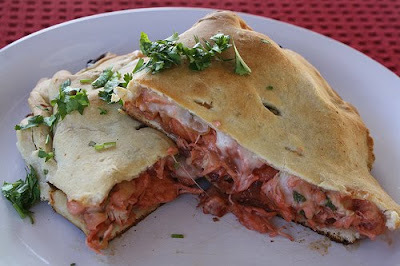 The recipe combines amazing ingredients such as BBQ chicken, cilantro, bacon, and cheese. 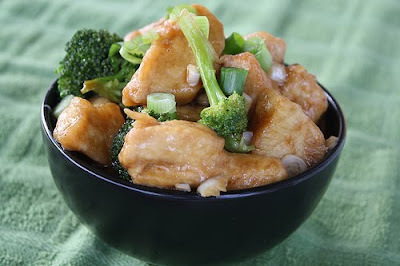 This is a great way to make use of leftover chicken. It calls for refrigerated pizza crust dough but you can make your own crust if you want instead. For the cheese, you could replace mozzarella with cheddar or even add a little smoked Gouda into the mix. Enjoy. Step 1: Pre-heat the oven to 400 degrees. Fry bacon in a large skillet over medium-high heat until crisp. Remove bacon from the pan and drain on paper towels. Crumble. Add the onion and shredded chicken to the pan and fry in the hot bacon grease. Fry until onion is tender. Stir in 1/3 cup of barbeque sauce. Remove from heat and mix in the crumbled bacon. Step 2: Roll out the pizza crust dough onto a grease cookie sheet. Roll out to an even thickness and cut in half. 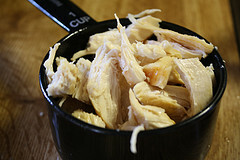 Divide the chicken mixture between two pieces of dough, spreading the mixture to ½” of the edge or more. Drizzle the remaining BBQ sauce over the chicken mixtures. Sprinkle cilantro and mozzarella cheese over both. 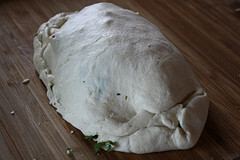 Fold the uncovered portion of the dough over the filling and press the edges together with a fork until sealed. Step 3: Place into the oven and bake at 400 degrees for 25 minutes or until browned to your liking. Allow to cool for a few minutes and then cut each calzone in half.